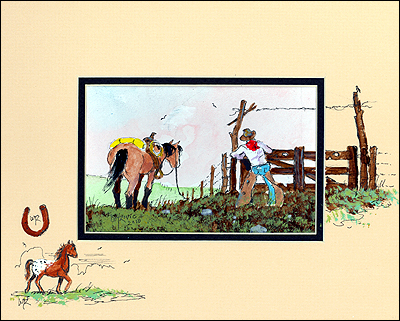 A cowboy rancher repairs the final gate on his property. In the Old West, barbed wire fences were used to contain the open range and to separate cattle herds from one another. Gates were a critical part of the ranching system.